Doubts, fears and other people’s rules are no match for a heart on a mission. 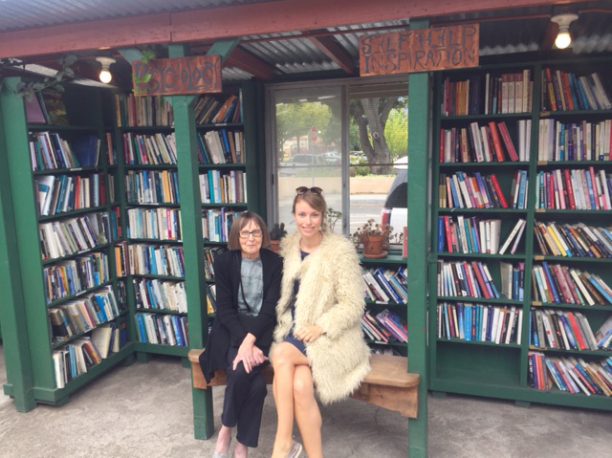 On Wednesday, I had a rendezvous with the wonderful Marianne Cantrell in Ojai, California. Ojai is a lively place that’s home to all sorts of small businesses and artistic folks. It’s also home to Bart’s Books, a unique place that often appears on lists of the country’s most interesting bookshops. It did not disappoint and we spent time exploring and discussing favorite books. A bit later when we were having lunch, we discovered that both of us have a favorite number. Marianne’s is 3. I’m a 5. We talked about how that figures into our decision- making and often helps us accomplish more over time. On my drive home, I decided to share the following piece I wrote some time ago about using a number guide. Feel free to put it to work for yourself. When I first became a practicing goal-setter, I wasn’t very successful. 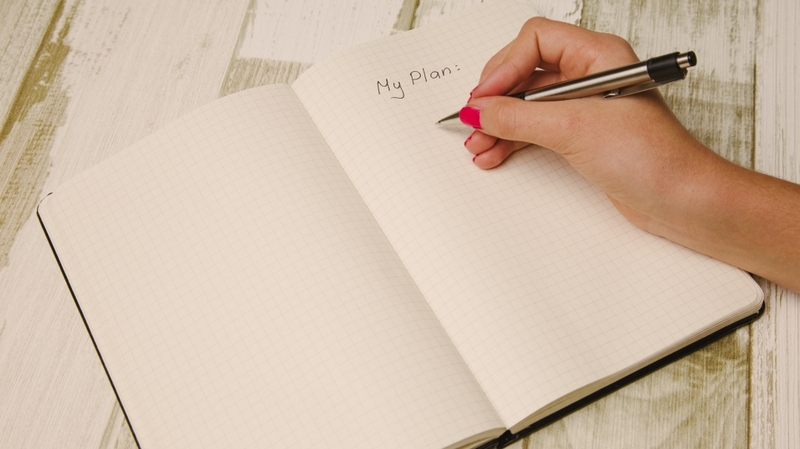 I’d write down big goals and then have no idea how to even begin. Eventually, I made a discovery that seems so simple I didn’t believe it would work—until I tried it. It now is firmly established as my most dependable operating system. It starts with picking a number, any number. You don’t have to be a math whiz to put numbers to work for you. Assigning anumber to a project can help you focus and, also, give you a finish line. Open-ended goals have a way of never reaching completion, but attach a numerical addition and getting started is much easier and the finish line become much closer. Here are a few ideas to get things rolling. Pick a number under ten and use it as your goal setting guide. For me, it’s the number five. You might prefer three or six. Then instead of thinking, “I need to get more clients,” set a short term goal to get three (or whatever your favorite number dictates) new clients. Of course, you can repeat this exercise as often as you like, but your chances for success increase enormously when you work with a smaller number that seems reasonable. Years ago, when I was floundering around trig to get my speaking business launched, I met a successful, but unhurried, seminar leader who told me her business plan was “Do one, book one.” As soon as she’d finish a program, she’d spend time marketing until she’d booked just one more. It’s a policy I’ve used ever since with great success. You may surprise yourself with how quickly you begin getting answers. Write a tip sheet. Don’t forget how useful numbers are in writing tip sheets which can be turned into articles. Six Ways to Get More Exercise is an easier article to write than one called How to Get More Exercise. Using numbers also is a reminder that when you write a tip sheet the intention isn’t to tell everything you know. That same intention also simplifies goal setting since it brings your focus to one part of the bigger project. Subtract things from your life that you no longer want. Instead of trying to unclutter your life all at once, for example, get rid of nine things a day until the job is done. Go through the junk drawer and throw away nine things or toss out nine magazines or find nine things in your closet you never wear and put them in a bag for the thrift store. Assigning a number to a necessary, but not necessarily pleasant, tasks can break through procrastination and get positive momentum going. It’s the same reason setting a timer can help you get more done. Pick a number, any number, and then pick one of the projects listed below. Or add your own projects to the list—and then get busy making them happen. Most businesses are born in a state of excitement. We can’t wait to get our great idea up and running. It’s all new and exciting. After a bit, things settle down, familiarity settles in. The honeymoon is over. It doesn’t have to be that way. You can make your business an on-going creative adventure that continues to surprise and delight. Sometimes all it takes is getting a fresh perspective. Yes, you’ll have to leave the house to join us, but consider what Jim Rohn so wisely pointed out: Get around people who have something of value to share with you. Their impact will continue to have a significant effect on your life long after they have departed. Time’s running out, but you can add more creative adventure to your business by joining me on June 1 & 2 in Houston, TX. Click on this link for details.